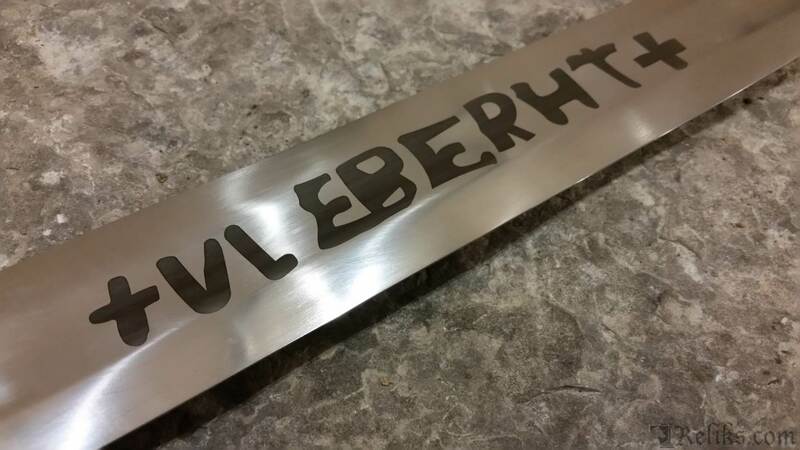 Get Your Own Ulfberht Sword! Go Viking In Your ManCave! 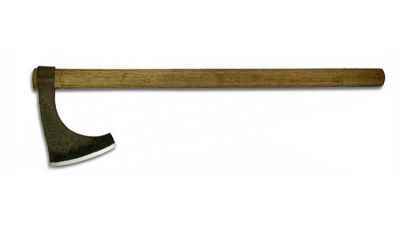 An old legend has it that a Nordic smith named Ulfberht developed the first all steel blade. This crucial development achieved near-mythical status among warriors, making this one of the most important swords in the study of medieval weapons. 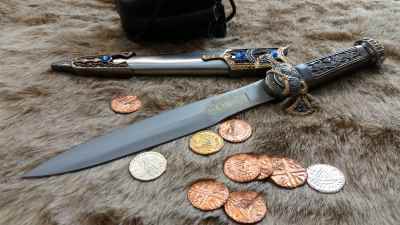 Several of these blades from slightly different time periods exist, some engraved in gratitude and reverance with Ulfberht's hallowed name. 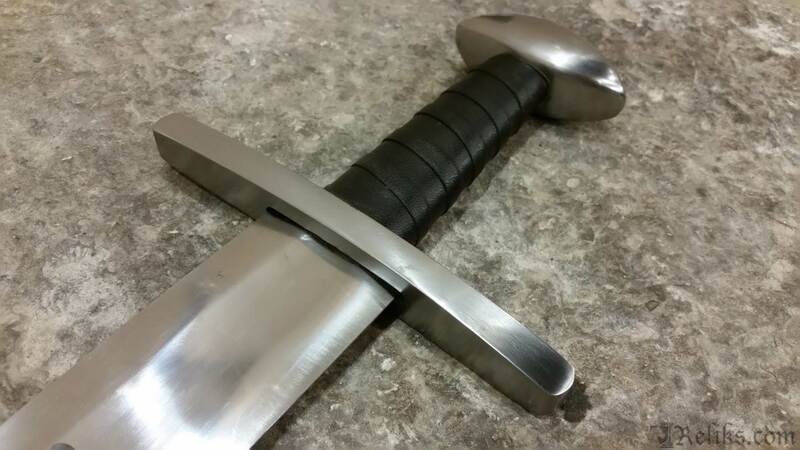 Prior to the Ulfberht swords, all European swords were of the pattern welded variety. Soft iron bars were welded together with strips of steel, forged into a blade shape, then a steel edge was welded onto the sword. 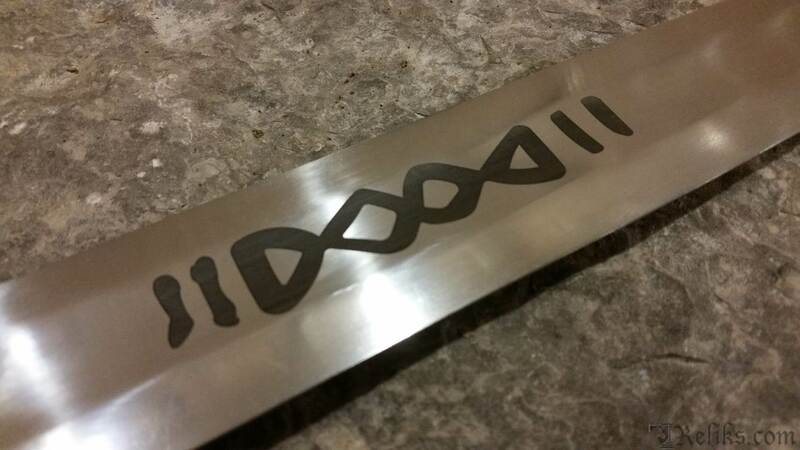 But, the Ulfberht sword was a quantum leap in both technology and design. 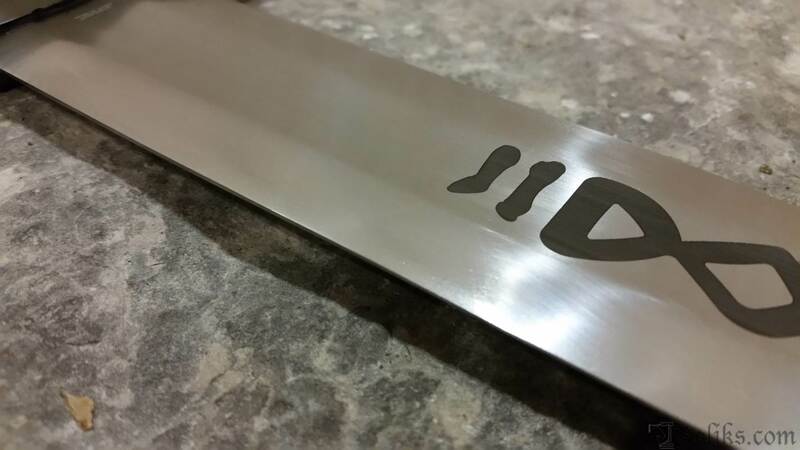 Not strips, but good carbon steel blades with enough carbon content to produce excellent swords. Not only was the material better, but the design of the sword was a definite improvement. 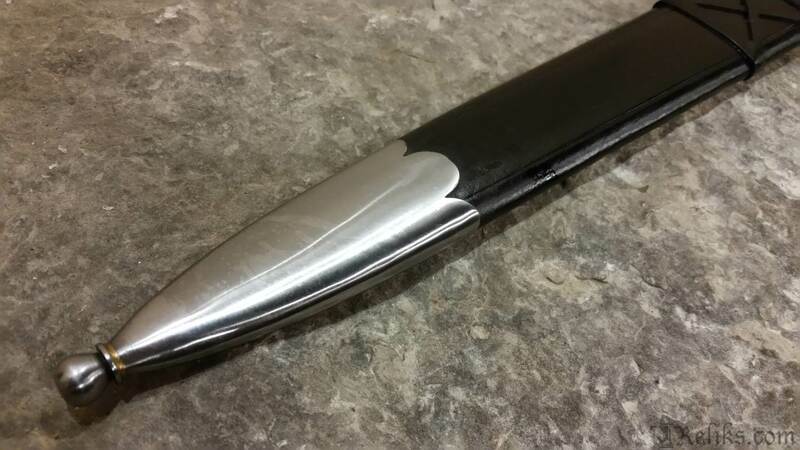 The blade tapered more sharply to the point than did previous blades. This put the balance of the sword closer to the hand, making a sword that was faster on both the stroke and recovery than previous blades. The engravings on both sides of the blade were photocopied exactly, so that our reproduction would be exactly the same, warts and all. 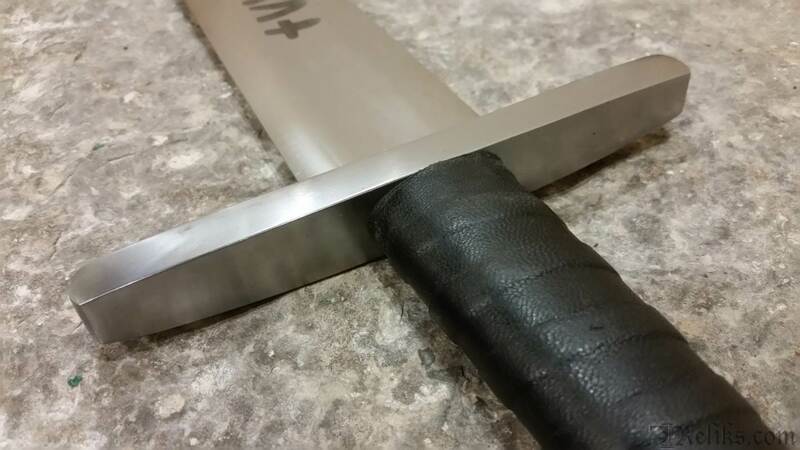 This sword is made of high carbon steel like the original but with respect, is even stronger than the originals produced. 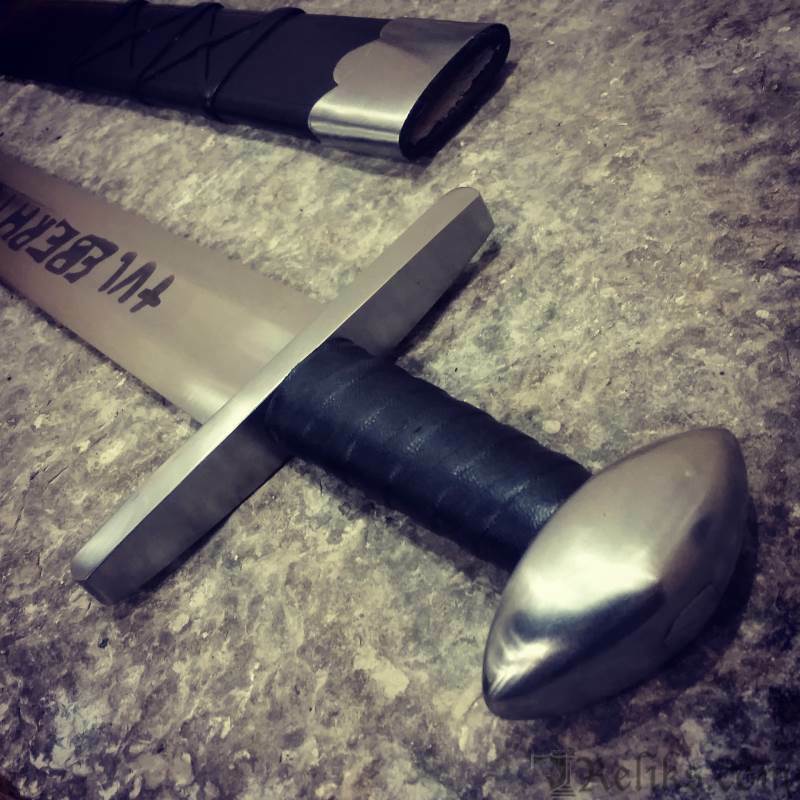 Our modern refineries and blade smith's have several centuries more knowledge of metallurgy and forging experience to draw from thanks to great sword smiths like Ulfberht. 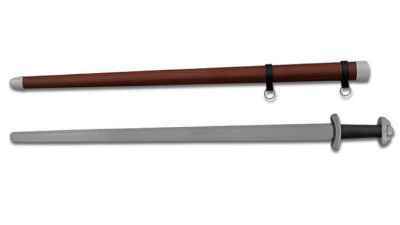 This sword is beautifully balanced with a grip made from wood and wrapped with leather. 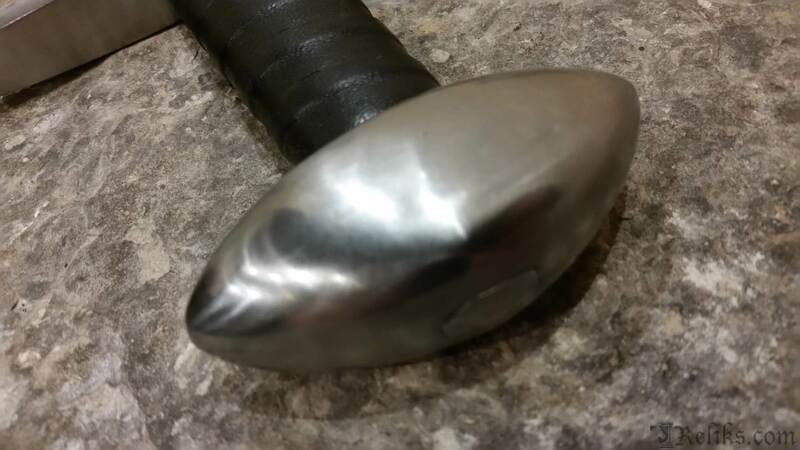 The stout crossguard is steel, and the pommel is of the brazilnut shape that was quite popular at the time, both with Vikings and throughout Europe. 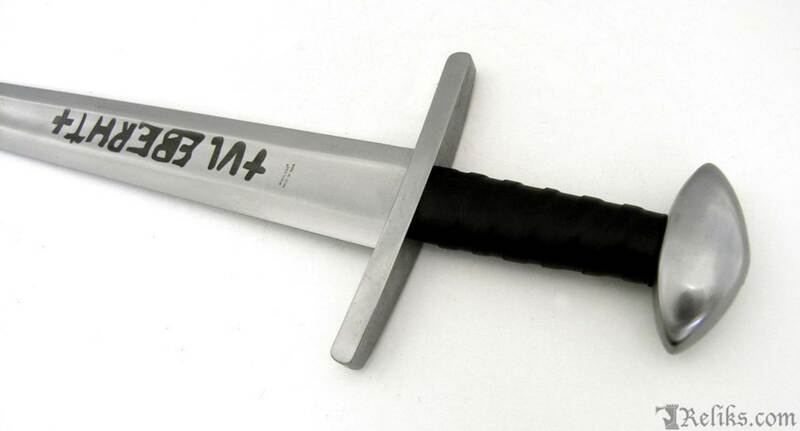 This beautiful and historically important sword comes complete with a tough leather scabbard. 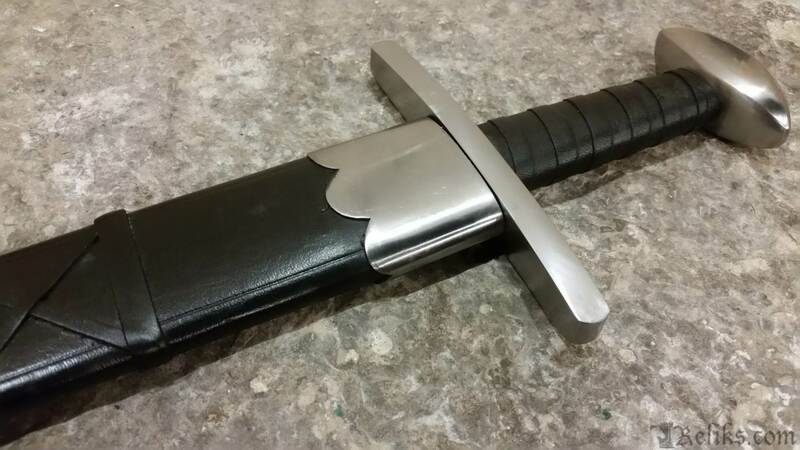 This viking sword is fully functional and can be used for western martial arts. It also looks great on display in your Den or ManCave! 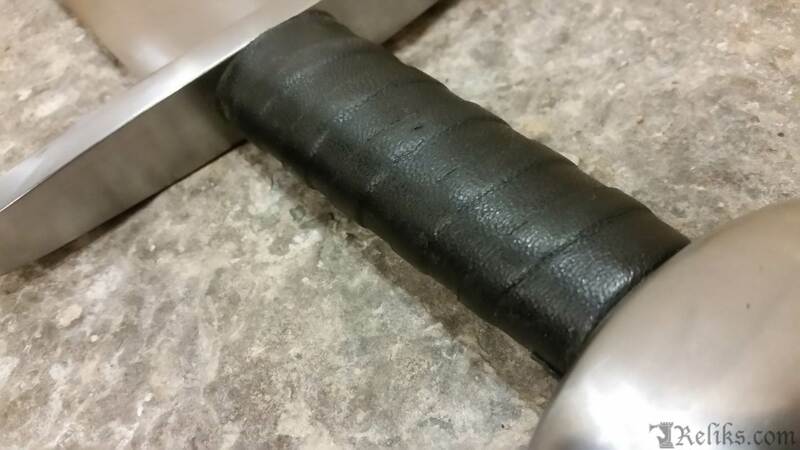 Copied from one shown in Ian Pierce's book "Swords of the Viking Age" by Windlass Steelcrafts®. 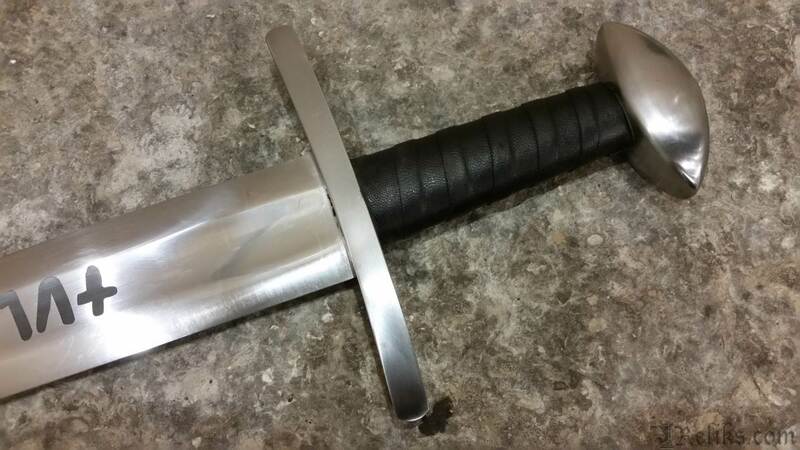 Blade Width at Guard: 2 1/8"
Reliks Response - It is a hand forged sword made from high carbon steel with a traditional peened pommel.